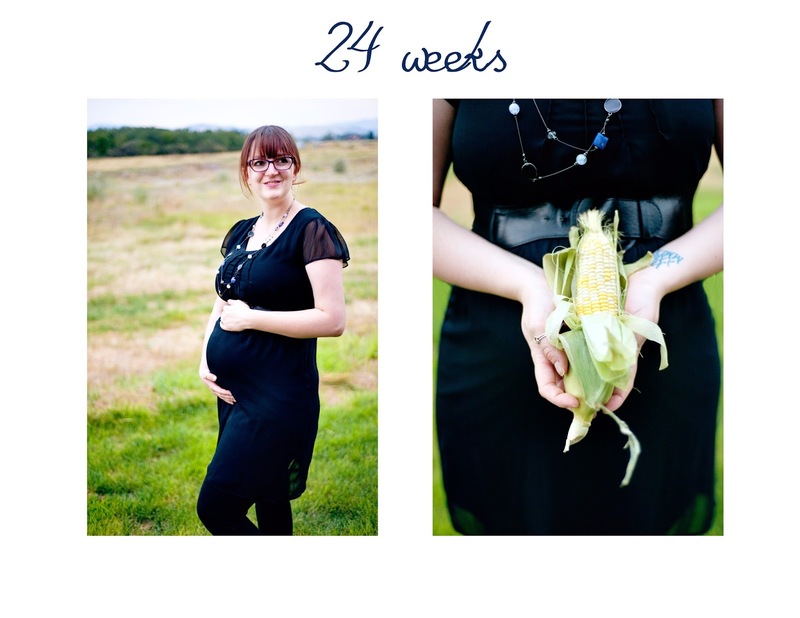 MetaData // Personal Photojournal by a Professional Photog: 24 weeks - 6 MONTHS! Can't believe we've hit the 6 month mark! Most of the time I don't feel that pregnant, but then the little one (or pumpernickle, as we've taken to calling it) will give me a good kick to remind me (or I'll walk by a mirror, haha). Baby has gained about 4 ounces since last week. That puts him/her at about 1 1/3 pounds and the length of an ear of corn! The fact that has me really excited - baby is now technically viable (meaning it could live outside of the womb). But of course we would prefer it keep growing in my tummy like it's supposed to. Things are going amazingly well and I'm so grateful that I have such a tremendous partner through this whole process. Patrick was diagnosed with Type 1 diabetes in June. In case you don't know, Type 1 is an auto-immune issue wherein your pancreas suddenly decides to stop working. It has nothing to do with weight or what you eat - some people just get dealt the snake-eyes of the genetic lottery. It's relatively rare for someone Patrick's age to be given the Type 1 diagnosis - it's normally diagnosed during adolescence, hence why it is sometimes called "Juvenile" diabetes - but Patrick has done a fantastic job of adapting to this challenge. He had a checkup today and his blood tests were perfect! I'm so proud of him. And despite dealing with this completely unexpected, life-changing issue, he has continued to be my number one champion and supporter. He even painted my toenails this weekend (no more plain toes, dad). Feeling very happy and grateful this week for my small, growing family.